A huge thank you to Tim Peare and the rest of the Snowboard Magazine crew for using my image as the opening spread in their first issue of the year. 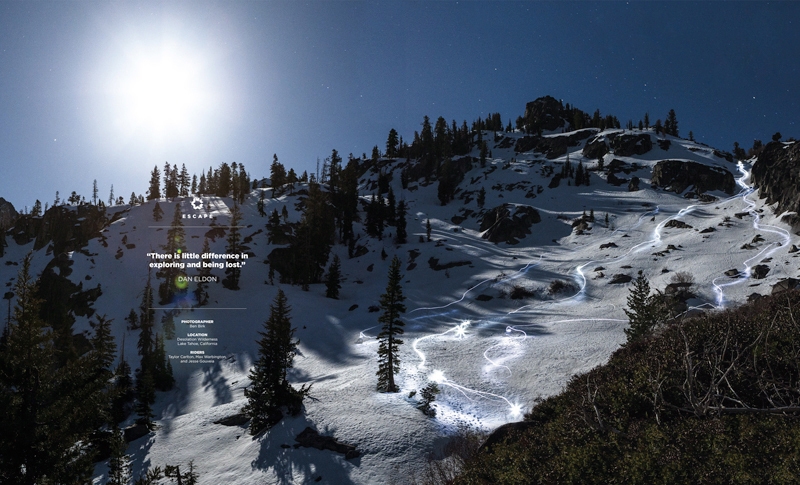 I shot this image that I call “Moonlines” in Late April under a full moon deep in the Tahoe Backcountry while camping with the Airblaster Crew as they filmed for their movie “Gone Wild” (see teaser/buy the movie here). The riders in the picture are Taylor Carlton, Max Warbington, and Jesse Gouveia. They had to ride this gnarly icy slope two nights in a row for me to get the correct image. Hats off to them. Also a thank you goes out to Cale Meyer for the invite to shoot while the crew was in Tahoe. Riprendo semplicemente quanto detto in altro thread. Torniamo sempre al famoso setup 17-22 di Luglio. Se il minimo tiene entro il 2 agosto, faccio una bella spesa, ALMENOCHE’ non si chiuda regolarmente oggi, MA che ci porterebbe al setup 1-5 agosto come di max..(e non sarebbe un buon segno per il toro). Quindi se si vuole salire si deve necessariamente scendere ancora (in linea con l’indicatore) per qualche gg.